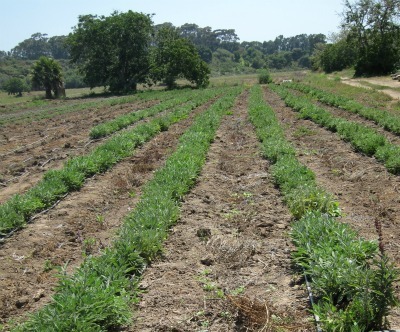 Synergy Organic Farm sits on Bragg’s, Santa Barbara property which is a 2 minute walk from Patricia Bragg’s home and Bragg headquarters. This was the setting for a delightful Meetup put on by Santa Barbara Food & Farm Adventures (our very own, Gerri French coordinates this creative Meetup group). 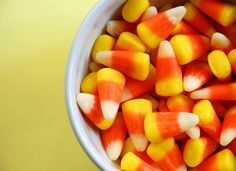 45 foodists were welcomed by a team of Bragg employees including Dr. John Wes­t­er­dahl, Director of the Bragg Health Foundation. John is an advocate for a plant-based diet, and in addition to sharing his reasoning for supporting a vegan diet, touched on why organic, apple cider vinegar (ACV) is so beneficial. Synergy Organic Farm is only 1 year old and is run by Farmer Sergio. 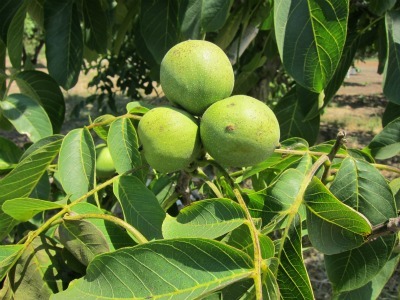 He is working diligently to find out which crops do best and is fine-tuning the farm operations to ensure high-quality and fully organic produce. The majority of the produce grown will be sold throughout the country and will be donated to the local Santa Barbara School District. We walked through the farm stopping to taste sage and parsley. People asked many questions about which techniques were used and, unfortunately, Farmer Sergio, could not be there to fully explain his methodology. When we got to the spinach we learned that greens with tiny pest bites (read: small holes) cannot be sold at market. 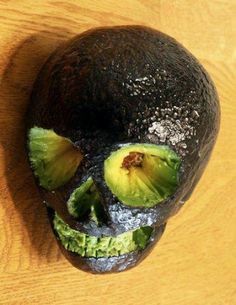 Farmer Sergio had been experimenting with organic pest control, but was somewhat unsuccessful with this crop. Upon hearing that the row of ready-to-be picked spinach, would be thrown into the compost pile, the “Meetuppers” began pulling up bunches of spinach and stuffing it into their purses. It was just too painful to imagine all that tasty spinach going to waste, so I joined in too. We completed our farm loop and ended up under a shady tree. Bottles of chilled, organic ACV drinks in a variety of flavors were waiting for us, which was a welcome sight in the muggy heat. I know it sounds weird to have vinegar in a drink, but the stuff ain’t bad. 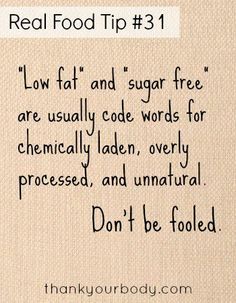 My hubby was an early adopter and I’ve come to like the tangy beverage. My personal favorite is the concord grape acai, but the ginger spice deserves some recognition too. 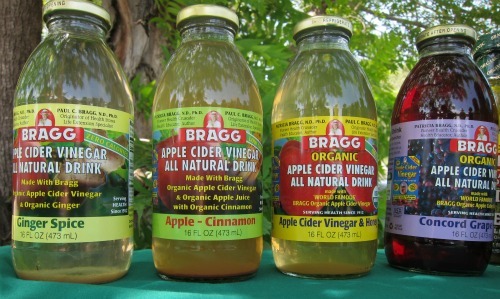 Each Bragg drink contains pure distilled water, 2 tablespoons of their organic ACV and a bit of honey or organic stevia (see full ingredient lists on Bragg’s website). To accompany our ACV drinks, the Bragg team also gave out bowls of micro-greens upon which we could sample their new dressings. The Ginger & Sesame Salad Dressing was fabulous and would be divine on an Asian cabbage slaw. 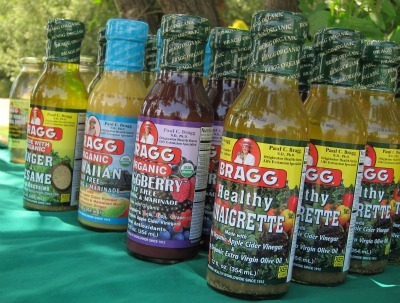 The ingredients of the Bragg dressings are simple and I was happy to discover no canola oil in sight. These dressings are a great back up to have on hand when you are too tired to make your own or want something different. 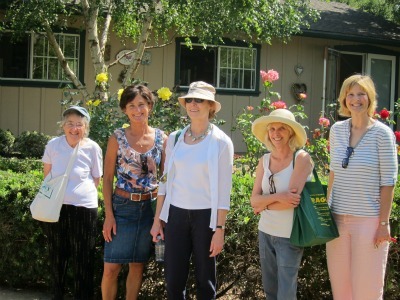 We were led up the hill to Bragg’s headquarters where we took a quick tour of Patricia Bragg’s beautiful rose gardens. 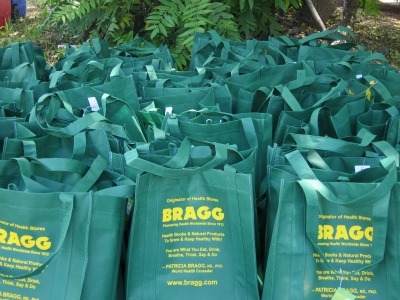 Upon our departure, we were given generous Bragg gift bags which contained a bottle of their apple cider vinegar drink and two Bragg books. The day after the tour, I washed my very, wilted spinach in an icy water bath where it, fortunately, bounced right back to life. My daughter and I whipped up a delicious scramble of organic eggs, spinach, scallions, and Tillamook cheddar. Divine. 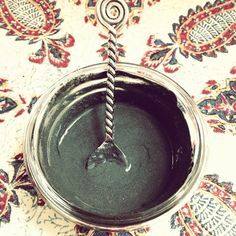 Who says toddlers won’t eat spinach? Special thanks to Gerri, the entire Bragg team, and to Patricia Bragg for her phone call welcoming us from Hawaii! Here is my very abbreviated version of the Bragg story: Paul Bragg was diagnosed with tuberculous. He vowed that if he could be cured, he would help others and share his new-found knowledge with others. With the help of a Swiss doctor, he heals himself through diet and exercise and becomes the father of the healthy food movement. The movement catches on and Paul’s message is heard worldwide (even my papa grew up with Bragg in Indonesia!). 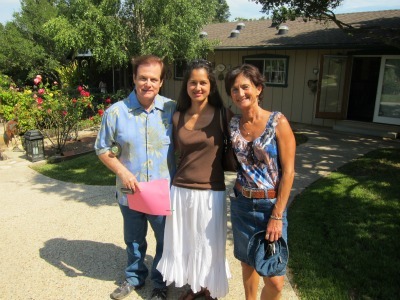 Paul creates Bragg food products and passes on the Bragg world to his daughter, Patricia. Today, she continues to run the company and spreads the Bragg message.